So nice to have a relaxing Saturday at home after a crazy week at work. 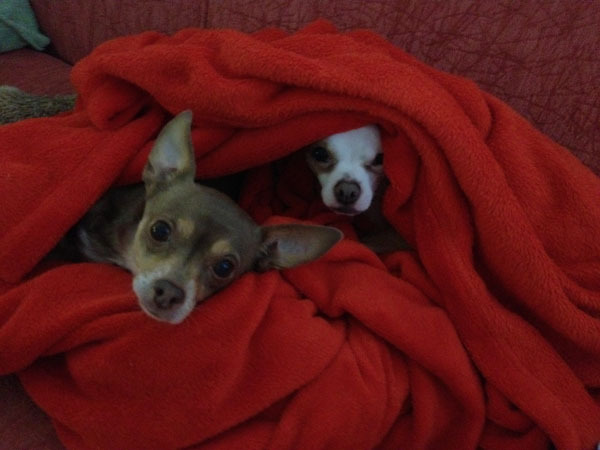 I spent most of the morning parks on the sofa drinking coffee with two cuddly chihuahuas. Before making my usual pre-workout breakfast smoothie staring a new protein powder – Vanilla Plant Fusion. Since I’m not sure as a vegan how much protein I’ll be getting during the day sometimes, I like to start it with a hefty serving of plant-based protein in a smoothie. If I could afford it, I’d only use Vega Complete Whole Food Health Optimizer because of the variety of nutrients and blend of plant-based proteins in it. But at over $2 per serving for just the powder, that’s a little too steep for me, something I can only afford while training for a race. So I’m always looking for and trying cheaper plant-based proteins to add to my rotating stash and keep a variety in my diet. 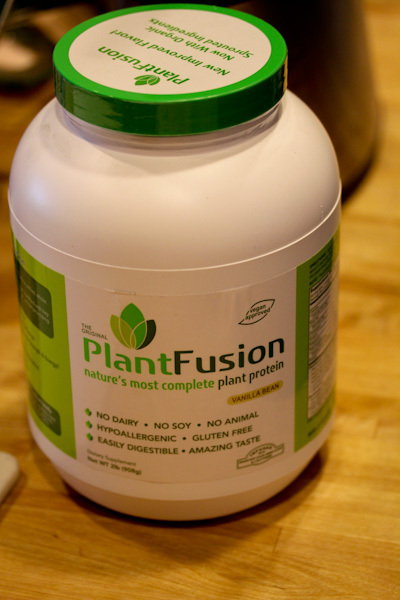 Plant Fusion is a great find being about half the price her serving compared to the Vega and a blend of pea, rice, and artichoke protein. Yes, that’s right – artichoke protein. Crazy. 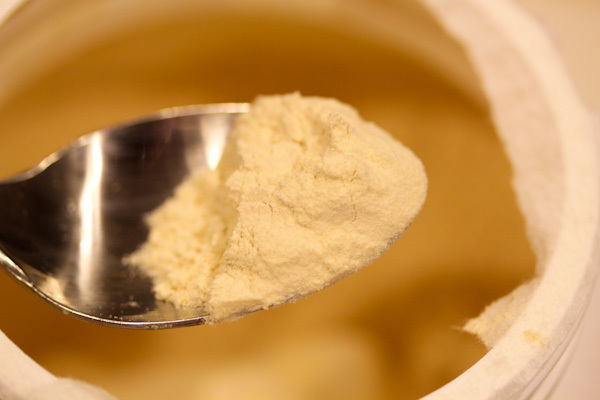 But it also has a nice vanilla flavor sweetened with stevia and is probably the finest vegan protein powder I’ve tried so far, it looks like a fine baking flour that’s very light and airy. 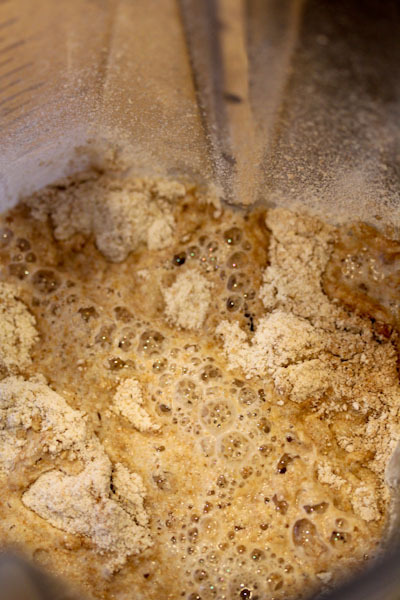 And blends smoothly into smoothies with no grittiness as hemp protein powder can have. The vanilla flavor is very present and nice, it blended perfectly with a banana, apple, kale, and broccoli stalk – I couldn’t even detect the kale and broccoli in the sweet flavor. Vanilla Plant Fusion is another protein powder I will be keeping in my rotation from Amazon, give it a try if you’re looking for cheaper alternatives to Sun Warrior and Vega proteins. 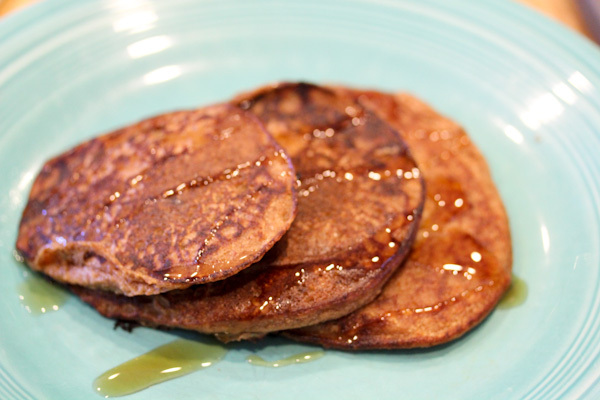 While the smoothie charged me nicely through my workout, I was craving something fun for lunch and decided to experiment with a vegan pancake recipe. Place all ingredients except coconut oil into a high speed blender and blend to a smooth texture to create the pancake batter. 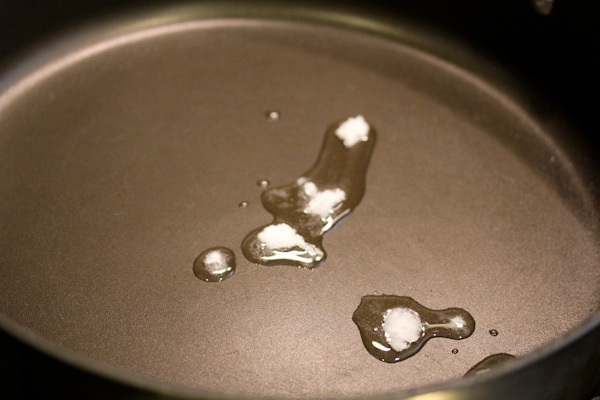 Melt coconut oil in a large skillet over medium high heat. 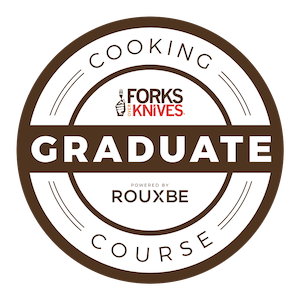 Pour batter into 3-4″ rounds in the skillet and flip when surface bubbles, about 3-5 minutes. Cook for another 3-5 minutes and serve. Makes 6-8 pancakes. 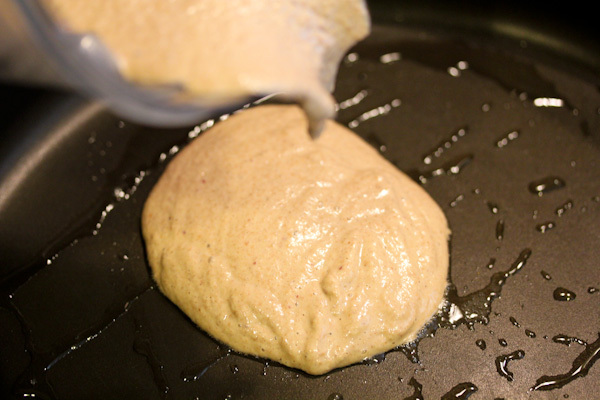 I really like using the Vitamix to blend pancake batter, so much easier than whisking into a bowl and it seems to whip more air into the batter for fluffier pancakes. It also makes it easier to pour the batter into the skillet for me and make mostly neat-shaped rounds. I’m still working on my flipping skills though. 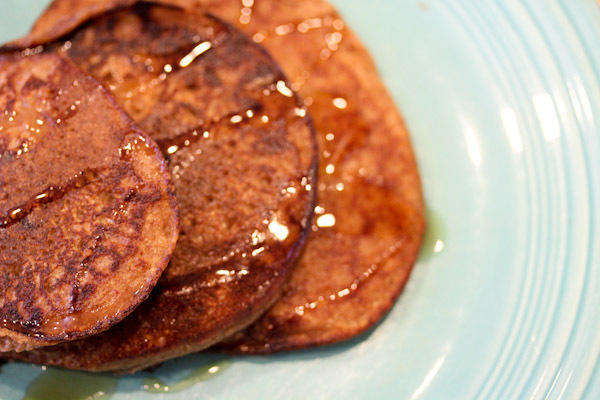 The color is darker compared to traditional pancakes and the insides are softer and gooier which I like. 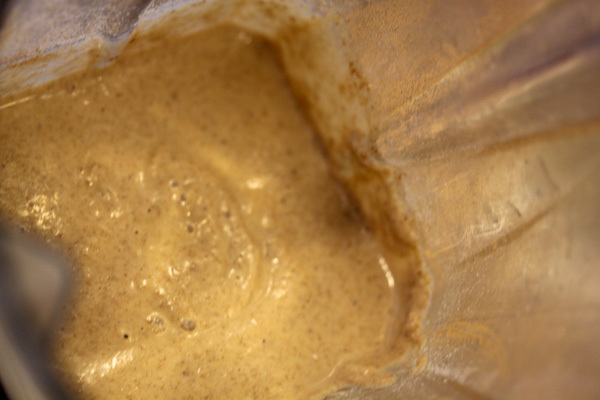 You can add a touch more water to the batter to make them slightly thinner. The flavor was very unique and good with a strong cinnamon flavor blended with sweetness from the apple and raisins. And it made a fun weekend lunch compared to my usual monster salads or dinner leftovers. The fact that there’s no egg, egg replacer, chia seeds, gums, or anything unique in them and they turned out so perfectly, you have amazing skills! 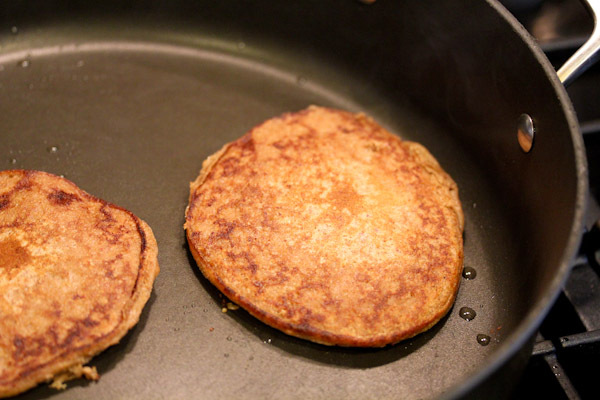 “I really like using the Vitamix to blend pancake batter, so much easier than whisking into a bowl and it seems to whip more air into the batter for fluffier pancakes.” <– 100% agreed. I almost never make pancakes but when I do, 100% Vita all the way. Ah, thanks! :-) But I totally need to add chia seeds to the next batch now, that sounds wonderful! These look delicious. I think I may give them a try tomorrow. Would you say this makes about 2 servings? Hi, sorry for the delayed response. Yeah, I’d estimate these make about two servings. Love, love, love the flavors of apple and cinnamon together! And these look fantastic!